Gloryland men ministry was established to biblically train and equip men to be spiritual leaders in their homes, in the church, and in their places of business. 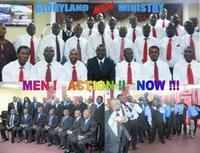 The Men’s Ministry develops men in Christian living to make a positive impact for this generation and those to come. We accomplish this mission through Bible study, discipleship classes, evangelism training, leadership development, accountability groups, mentoring, retreats, mission trips and special events. In today’s culture, it’s increasingly important for men to honor God with their hearts and lives. So if you are new in Houston Texas, we encourage you to join us to worship and be part of our ministry. We promise your life will never be the same.